This gorgeous autumn hand embroidery pattern is free for the month of October! It's a perfect introduction to Long and Short stitch, also known as needle painting. I'm delighted to be back again with the latest installment of the A Lively Hope Stitching Club. 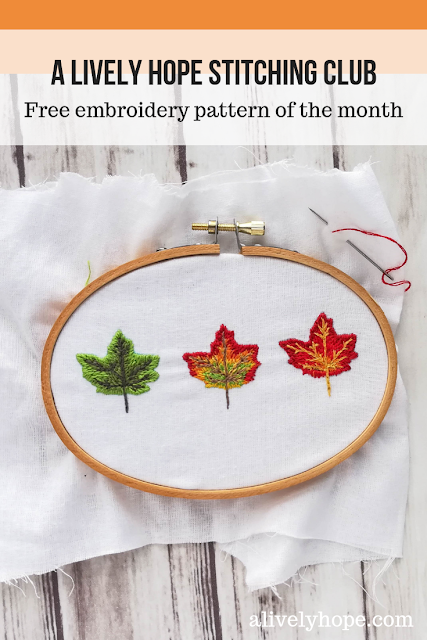 This month's pattern is called Changing Leaves. 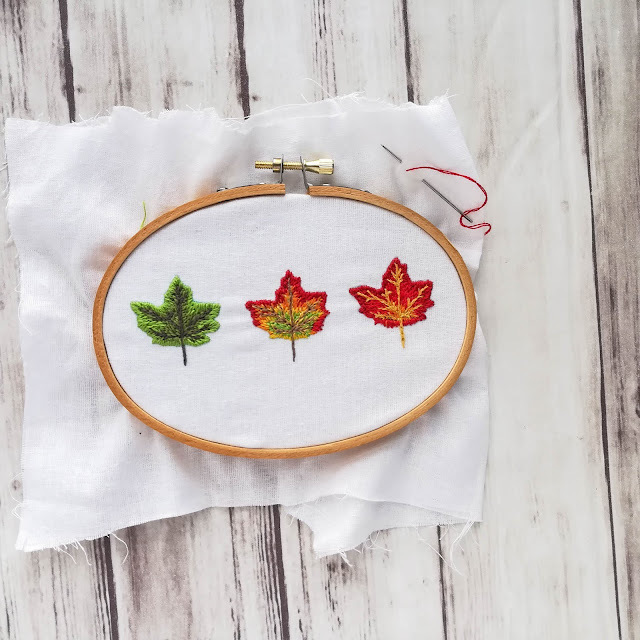 This smaller project is perfect for trying out a technique called needle painting, which is a lovely way to create realistic looking pieces. In the pattern I've included one smaller version, sized to fit a 5 inch oval hoop (which is what I used) as well as a larger version that would look beautiful in an 8 inch hoop. I think this pattern would look gorgeous on a set of autumn cloth napkins, or repeated along the edge of a table runner. To receive this free pattern, you need to be a subscriber to my monthly A Lively Hope stitching club newsletter.